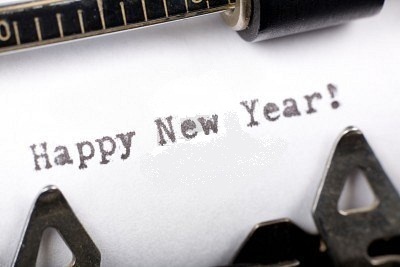 I hope 2012 keeps you all tapping on the typewriter! A workmate has been asking me for a couple of years now to track down for her a hospital green Hermes Baby at a reasonable cost. She has it in her head that Truman Capote used such a portable typewriter (can't say whether that's true, I don't know). I did find a nice one for her, but she left it in the office while she went on leave and someone stole the typewriter from her work station. I asked her just the other day if she still wanted one. Yes, she said, very much so, but did they come in red? 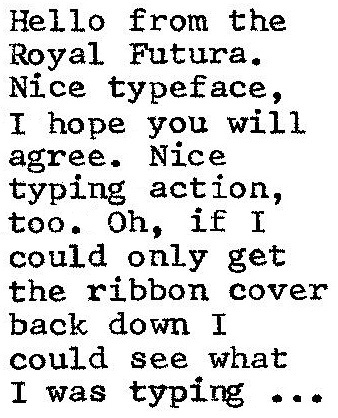 Well, not the older metal ones, I said (thinking nasty thoughts about Olivetti-assembled orange Brazilian plastic). I asked why red. It turned out she had seen another portable I had given a young female workmate, a lovely bright red Czech Consul, and she fell in love with that colour typewriter. 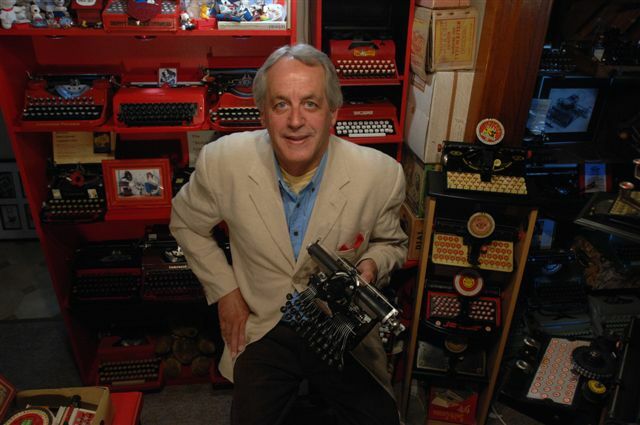 Well, yesterday a charming old gentleman turned up from Sydney with a couple of typewriters for me. 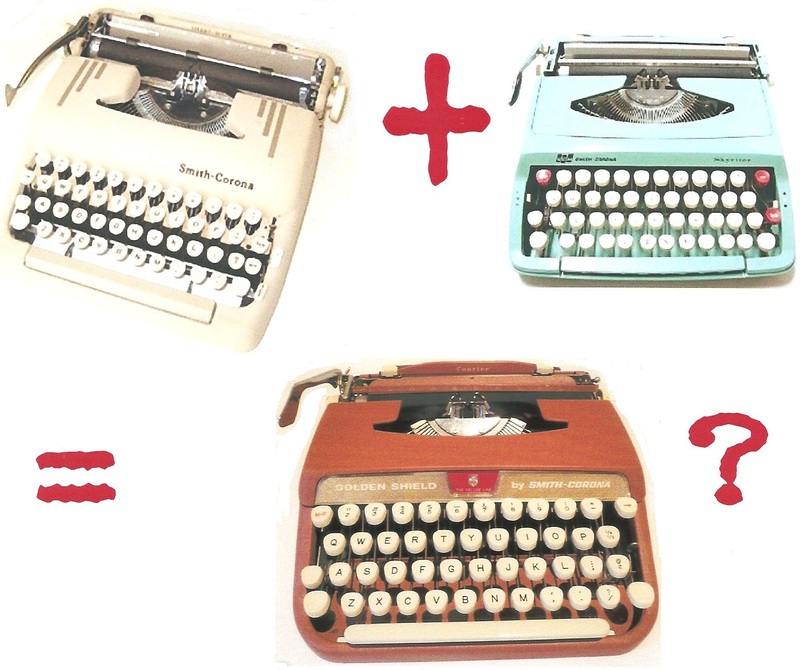 One was a green IBM Selectric, the other a rather battered, bruised, rusted and seriously paint-chipped Hermes Baby - still in good working order, mind you. What to do with it, I wondered? Then I remembered my friend who wanted a Hermes Baby in red. One thing, though: I have become very wary about repainting Hermes Babys, because while the outer shell and back section are easy enough to get off and put back on again, the paperplate and roller plate are devils to work with. The problem is that once you take the knobs off and the platen out, and then take off the paperplate and roller plate, the platen is quite difficult to put back in properly. The inordinately intricate mechanism of the lever is a real nuisance - at least for me, working alone, that is. So instead of repainting the paperplate and roller plate red, I decided to put my recent "success" with stripping the paint off typewriters and making them shiny silver to good use. Since the segment, typebars, bail, lever, margains bar and paper rest etc etc are all a sort of silver, the other parts would match in nicely. And I think they do. I know it's a compromise, but one that works, I hope you will agree. And the red does goes well, especially at this time of year, with the green name disc, keytops and knobs. Anyway, all that aside: by tomorrow, hopefully, this late Christmas Baby gift will have been gleefully accepted into its new home. 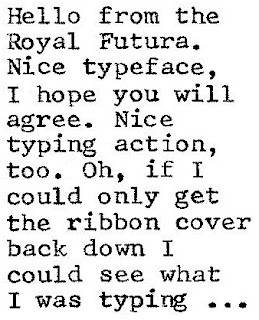 PS: I haven't put a ribbon in it yet - Canberra's typewriter ribbon shop is closed for the New Year - so I haven't typecast with it. But believe me, it still works just fine! For 21 years from 1960, the British branch of Smith-Corona Marchant operated out of what had been the British Typewriter Company factory on Kelvin Way, West Bromwich, outside Birmingham. 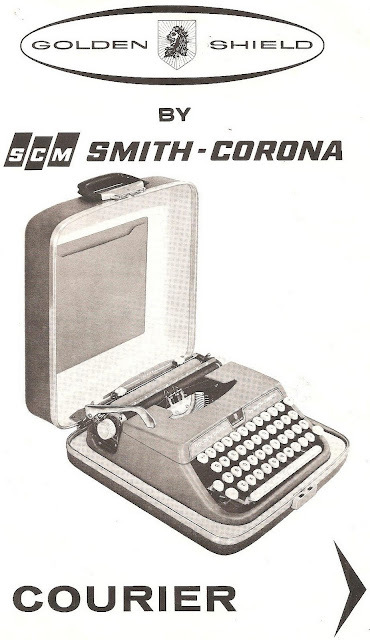 Initially, SCM made in Britain what has been referred to as the "Y Model", or "Corsair line". 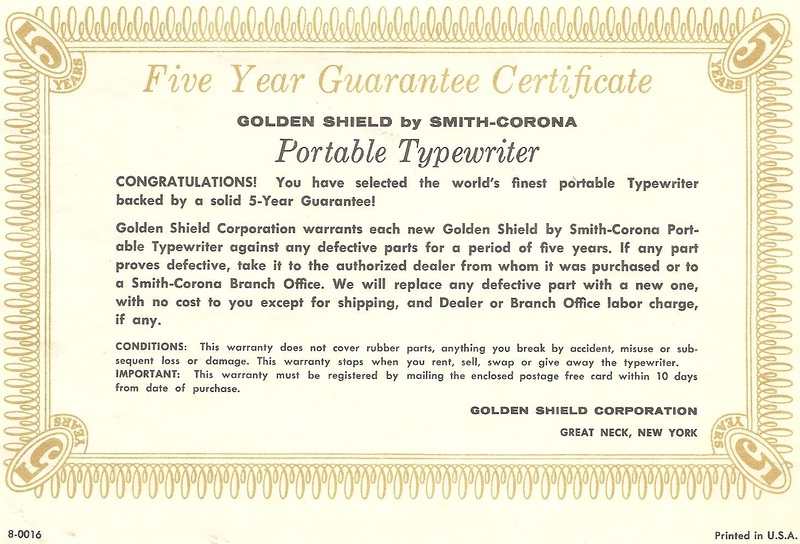 The factory had been set up by the British Typewriter Company after it became an off-shoot of George Salter and Co between the world wars. BTC moved away from the old Salter factory, which was on Thomas Street between Spon Lane and High Street. The BTC offices were on Queen Street. Not being familiar with the area, I rely on the following description of the later factory's location: "The typewriter works used to operate on the High Street, opposite Woolworths, and they moved up to by the [West Bromwich Albion soccer club] ground [The Hawthorns], around about where the Motorway M5 junction island is, towards the Smethwick side." 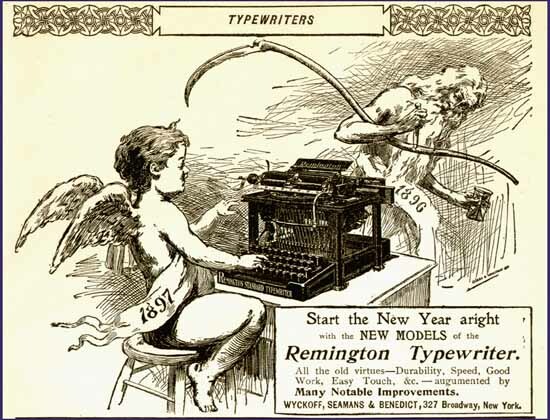 Most notably, the BTC made Hermes Babys as Empire Aristocrats (see the history of Salter and the British Typewriter Co elsewhere on this blog). 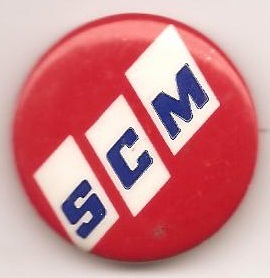 SCM took over the company and the factory in 1960, making BTC an SCM subsidiary. But in 1981 the factory was closed. 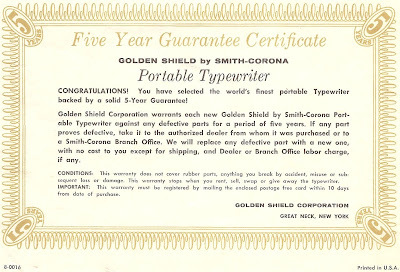 SCM decided to concentrate its efforts on a single-element typewriter. SCM bought Olivetti's typewriter factory in Glasgow, which had been established just after World War II, and moved there. 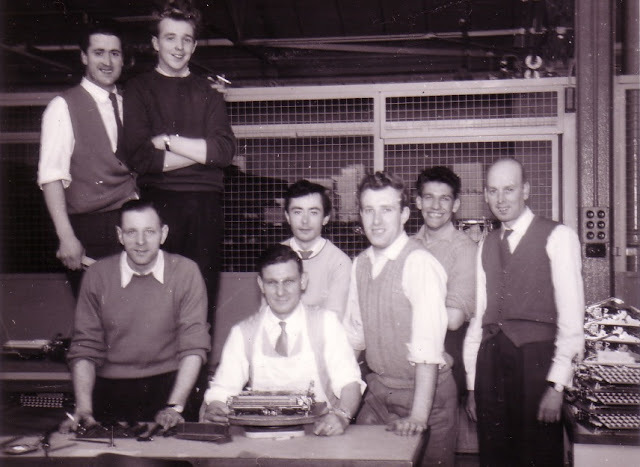 Olivetti had been making the Lexicon 82 in Glasgow. Peter Tytell explained this was a golfball portable with a moving carriage - "a minimal redesign of the typebar electric portable to enter the single element game ... Olivetti had originally started to set up manufacture in its Barcelona facility, but then Franco died [November 1975] and it was worried about the stability of Spain, so it shifted to [its British factory] ... 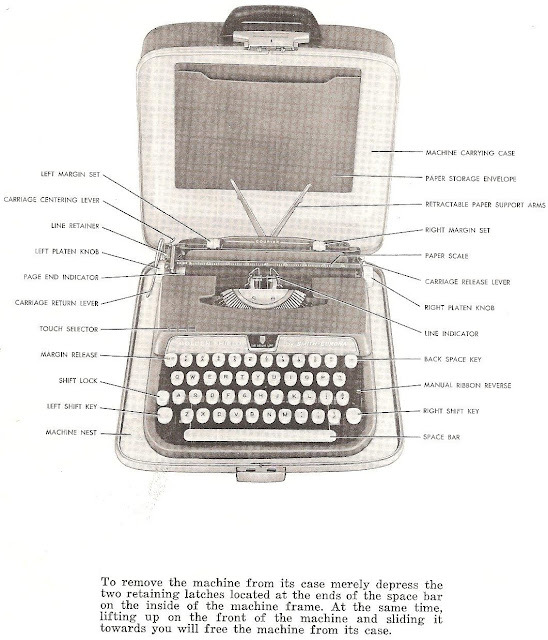 When Olivetti moved from this compromise design to a true single element daisywheel portable, it sold off the machine, along with the factory, to SCM. All that was changed was the name and the colour of the plastic for the cover plates." Apparently this later SCM venture in Britain was ultimately no more successful than the first. 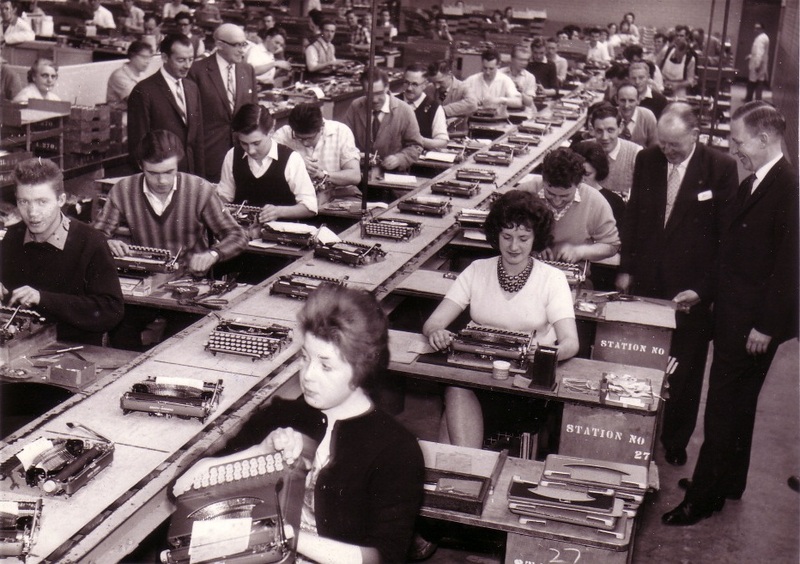 Before all this had happened, SCM's business with the Y-Corsair models of plastic portables made in West Bromwich was rapidly dropping off, in large part because the build quality of the typewriters had noticeably (even to loyal staff members) deteriorated as overheads rose. SCM portables were being sold through Woolworths, but the chain store struck a hard bargain, and SCM received just 50 pence (about $1) for each SCM typewriter sold. Even then, Woolworths were selling them at just 40 per cent above cost price. 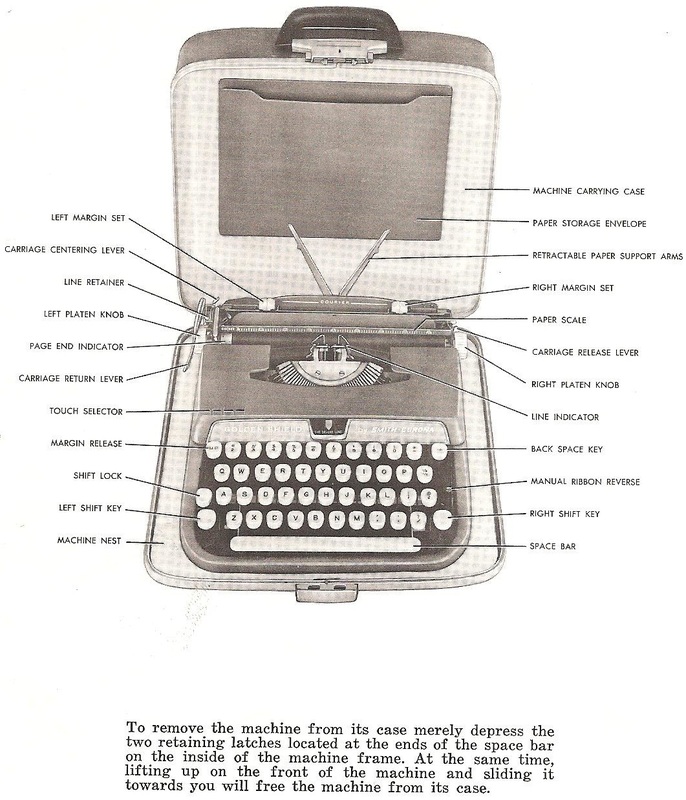 At first glance, the Brosette is yet another of what appear to be extremely well-designed, well-built post-World War II German portable typewriters. 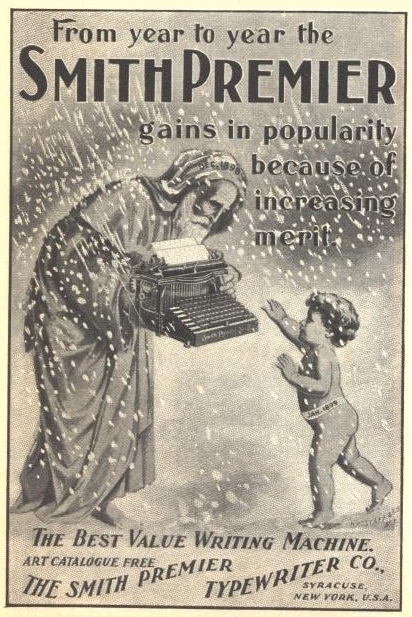 And in this case appearances do not deceive, as the Brosette is not just a beautiful looking little typewriter, but a delight to use as well. It may not quite rank up there for typeability with the bigger Alpina, or for that matter the Voss, but it is certainly superior to the Cole Steel. 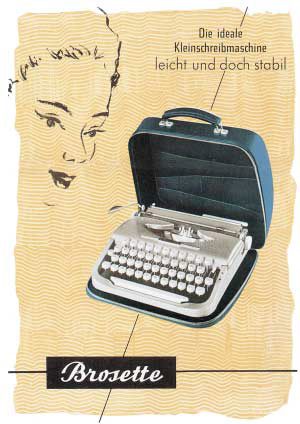 The mind begins to boggle when contemplating the post-war Germany portable typewriter industry. Why so many small brands, some sadly all too short-lived? And yet they are all so individual and unquestionably appealing in appearance. First we looked at the Alpina, then the Express and the Cole Steel (aka ABC) – not to mention the Groma Kolibri. (The Voss, Gossen Tippa and Princess are yet to come in this series). One might almost imagine late 1940s, early 1950s Germany, especially the West Side of the border, dotted with “boutique” typewriter factories. But the Brosette, like the Cole Steel, was the result of a well-established pre-war company expanding into a new market as it struggled to get back on its feet after the war years. Metallwerk Max Brose GmbH, of Coburg, northern Bavaria, West Germany, had its roots in a Berlin car parts factory which opened in 1908. It was founded in 1919 when Max Brose (1884-1968) joined forces with chemist Ernst Juhling (died 1956). 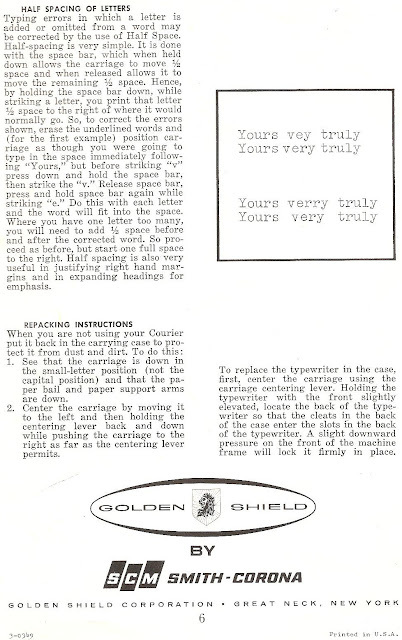 It started making typewriters in 1953, with Berthold Baumann as head of the typewriter section and Fritz Kunze, who had trained as a letterpress printer and worked pre-war for the German Government, the chief engineer and designer of the Brosette portable. Production ended in 1959. 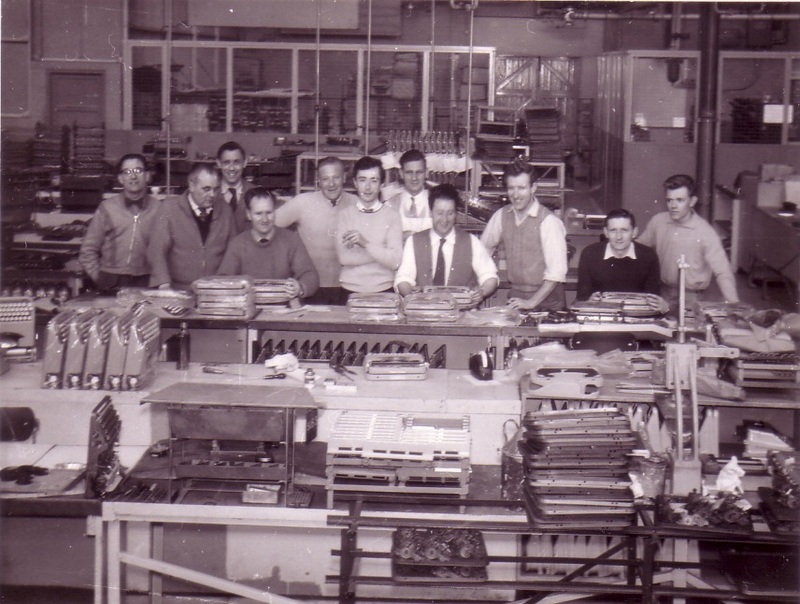 In just six years it is believed as many as 48,000 of these Brosette portables were made. The rights were then sold to an Indian company. 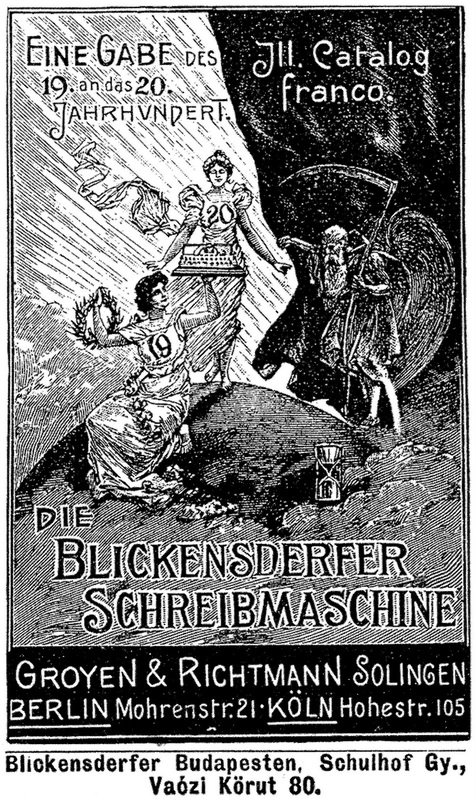 *I am indebted to Georg Sommeregger and Will Davis for information about the history of the Brose company.